DataSpace premises have been designed and built in line with the recommendations outlined in PD 5454:2012 (formerly BS 5454:2000). The site locations have been selected as they are not on a floodplain or flight path and are situated in a low crime rated areas. 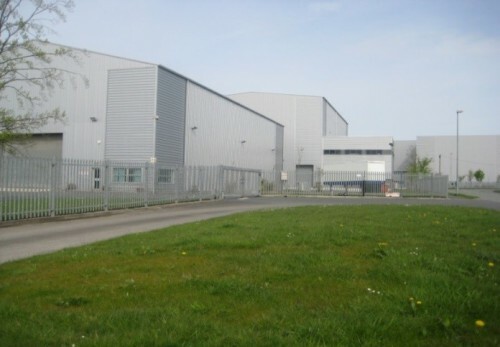 DataSpace’s storage repositories are positioned on a dedicated 4.5 acre site which is surrounding by secure paladin fencing. DataSpace have ensured that the site remains unbranded in order to further reduce exposure and general risk to theft or intruders. Access to the site is controlled via a secure main gate and access to the warehouse areas is restricted as internal doors can only opened using a key fob. The DataSpace site is fully secure in line with our security protocols. The site has been developed whereby each repository is segregated as a separate unit to further increase security as the individual units are alarmed and only accessible by permitted Dataspace staff. All physical data is randomly archived within our archive facilities which reduces the possibility of documents being targeted in any way. All of DataSpace’s facilities are Temperature and Humidity monitored at all times in accordance with guidelines contained in British Standard PD5454 to which DataSpace are certified. A cleaning and good housekeeping policy is in place to ensure the facilities remain clean and tidy. All of this information is collated and logged by our Warehouse Manager as part of his weekly audits. DataSpace UK Ltd are the professional document management company, providing secure compliant document and data processes, combined with outstanding customer focus and innovative technology solutions, we provide competitively priced, secure and efficient archive storage solutions for your archived and live documentation. DataSpace UK Ltd are a Document Management Company we can supply secure offsite storage, archive storage, archive scanning, bulk scanning and Data Hosting Solutions tailor made to suit your needs.